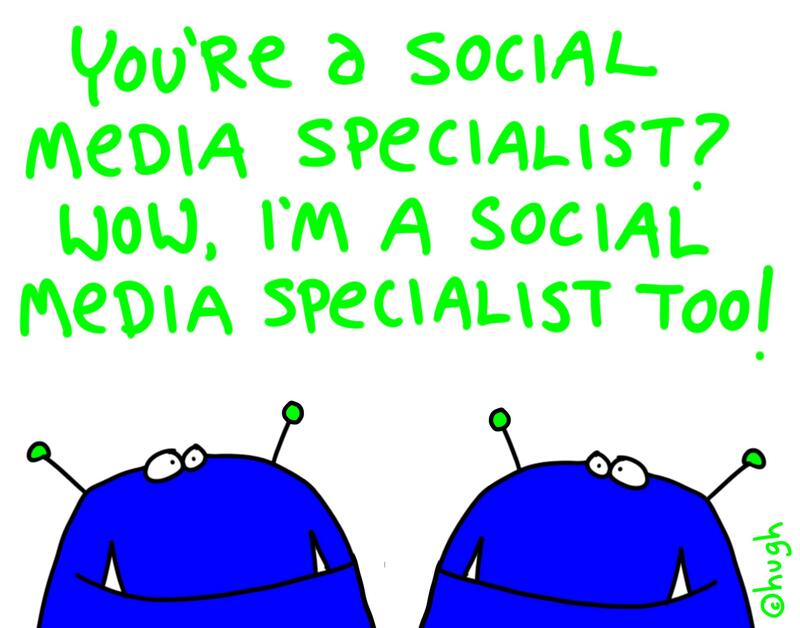 When will we realize social media marketing is about being social? Many of us in the PR industry already read this advertising clown’s article about how we’re ruining social media. This might have even been credible if he backed it with some stats and examples, or if he didn’t throw in a shameless self-promotion in at the end. Way to plug yourself….that’s really going to make me believe you understand how social media marketing works. The whole time he discussed the problem with pushing content at people, and then at the end he shoves a bunch of examples of his agency’s work at us? Yes, clearly this guy is the mastermind of all things social media marketing. The problem I have is that he’s assuming two things that aren’t always true: That PR agencies always develop and implement a brand’s social media strategy, and that a PR agency’s strategy in terms of social media for a brand is always focused on distributing content. PR agencies do NOT always handle social media for brands. Sometimes they have a separate social media agency, other times ad agencies are in charge of a brand’s social media presence, or it’s handled in-house. And, just because we’re in PR does NOT mean that we’re applying old-school, traditional PR distribution practices to social media. Really, this article didn’t need to call out the PR industry. It could’ve just discussed poor social media marketing strategies in general. Some people are great at it, others are terrible. What this article says isn’t always wrong, but it’s definitely pointing the finger in one direction when in reality it applies to many people (that aren’t always PR pros). It does raise the bigger issue: When are we going to realize that social media marketing is about the SOCIAL aspect? There are all these “best practices” or things you should(n’t) do (like the four points I mentioned above), but when you stop and think about it…they’re all about being human. People naturally connect with other people, so the questions for marketers become: How can I humanize my brand? How do I give it a personality that consumers can connect to? After all, we gravitate towards different people based on our own personalities. The same goes for our behavior towards a brand. Social media provides the perfect opportunity for brands to not only have a means for connecting with their audience and building a community of like-minded individuals (AKA being social), but also to understand who those people are and what they care about. It starts off on a broader level: what type of person do I want to target? Who purchases my product and/or service? Ok, so once that’s nailed down…. Then: What are they saying? What do they talk about/respond to the most? What sparks a negative reaction in them? Positive? What do they share the most? Those are the types of questions that make the most sense to ask first. Yes, there are more, but the point is that it’s about getting a well-rounded view of who these people are. That way you can figure out how to be human and best relate to them. I mean, isn’t that how we act in a social setting if we want to actually build a relationship? You wouldn’t just spout a bunch of crap about yourself without asking anything about other people. You would talk to them, listen to what they have to say, ask questions, share interesting information, laugh together, bounce ideas off one another, and so on. Well, doesn’t that apply to social media marketing as well? And, to the first part of the post, do you really need to be in advertising, PR, or marketing to understand that?